The Walla Walla Symphony began with the formation of a "Symphony Club" in June of 1907 by a small group who wanted to bring great music to their community. Following the adoption of a constitution and by-laws, the club's board of directors met for the first time on July 1. At a second meeting in September they voted to hire Edgar Fischer to direct an orchestra that would function as a separate entity from the music schools in the community. The first performance of that 29-member group on December 12, 1907, was one of several activities during that season. The club held a series of meetings to study music, presented two more concerts, and sponsored a local performance by the nationally known New York Symphony Orchestra under the direction of Walter Damrosch. While that initial year was an exhilarating success, those that followed would be challenging as the orchestra's founders struggled with finances and often presented concerts to small audiences in less than ideal circumstances. Following the unexpected death of Edgar Fischer at age 49 in 1922, and after two years of interim leadership, Fischer's wife, Alice, a talented pianist and singer, assumed direction of the group. At a time when women conductors were rare, she proved to be an effective and inspiring leader and led the orchestra until it celebrated its 25th anniversary in 1932. Although the Symphony Club, renamed Symphony Society, continued without break as an organization through the Great Depression years, it suspended concerts during the season following the 25th because of financial conditions in the community. After it resumed concerts in 1934, four conductors led the group over the next eleven years, with Walter Wren and Frank Beezhold, both accomplished violinists, each serving 4 years. 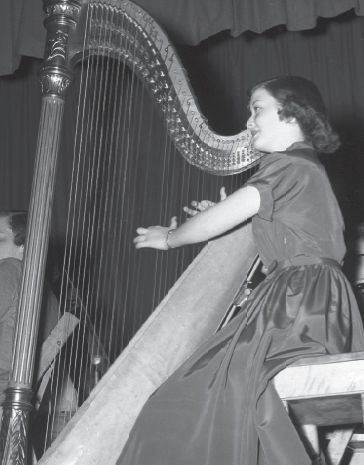 The orchestra grew and flourished under Beezhold's leadership during the World War II years because of the location of an Army air force base and military hospital in the community and a Naval V-12 training program at Whitman College. As the war ended in 1945, Beezhold left to be concertmaster of the Seattle Symphony Orchestra. Since his departure there have been five conductors. William Bailey, a teacher at Whitman College, followed Beezhold and served for 24 years. Jose Rambaldi, his successor, also a Whitman College faculty member, led the orchestra until 1976. Following an interim search year with several conductors, R. Lee Friese became conductor in 1977. With his departure in 1986, Cindy Egolf Sham-Rao conducted during a search year that ended with the selection of Yaacov Bergman, present day conductor. Maestro Bergman has conducted more WWS concerts than any previous conductor.